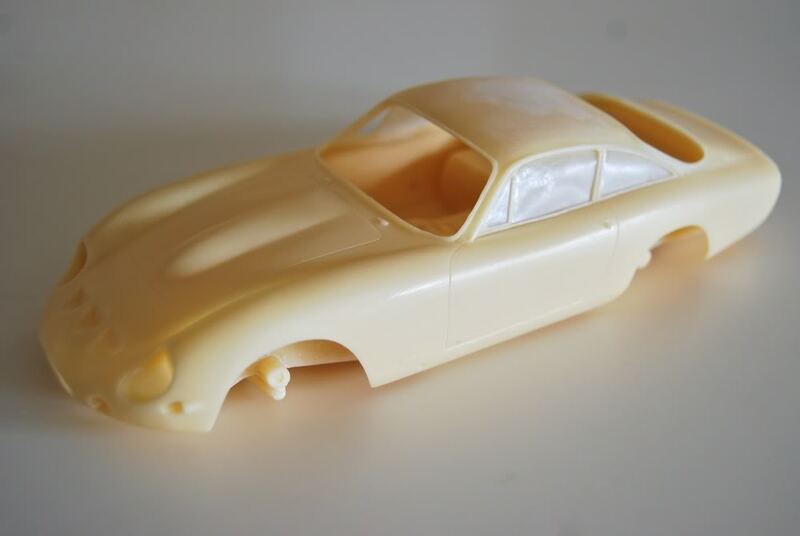 Scale Kraft Ferrari 250 GT Lusso Speciale, S/N 4385, kit SK 069. 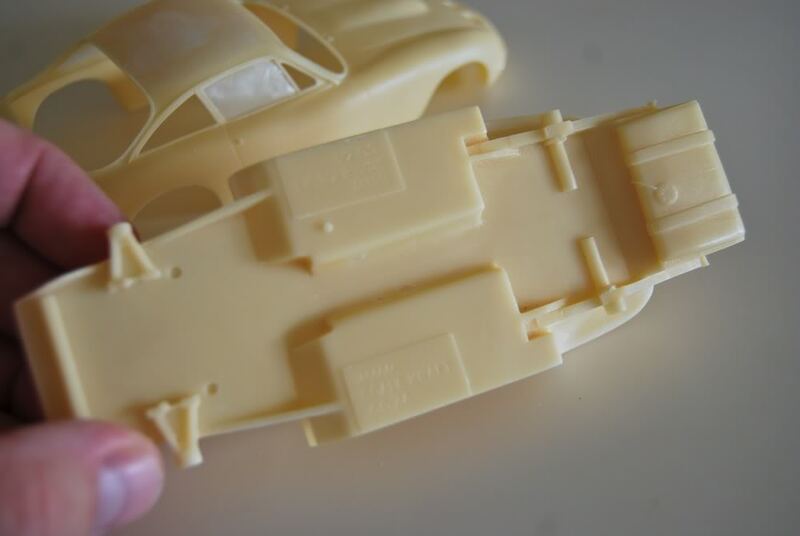 Another obscure subject - a kit of the car that was never done by anyone else, and not likely to in the nearest future. 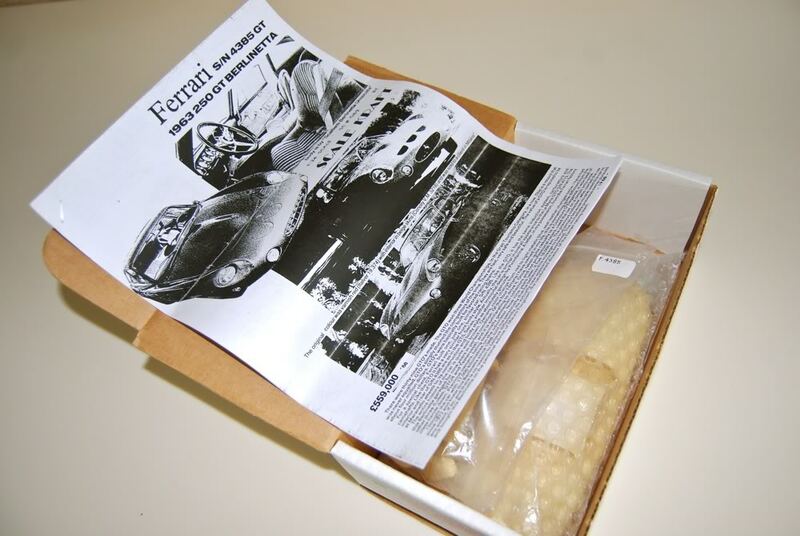 This kit, and its twin 250 GT Berlinetta Lusso - are unobtainium in its purest form - only a few were ever made, and I personally have not see one built, except the one I did few years ago. I bought both kits from Islandcollectibles few years ago when they were still in production, but Skale Kraft was gone just a short while after that, so if you'll find one of these kits right now, be prepared to pay a good premium over $135 original price (probably 3-4 times that). 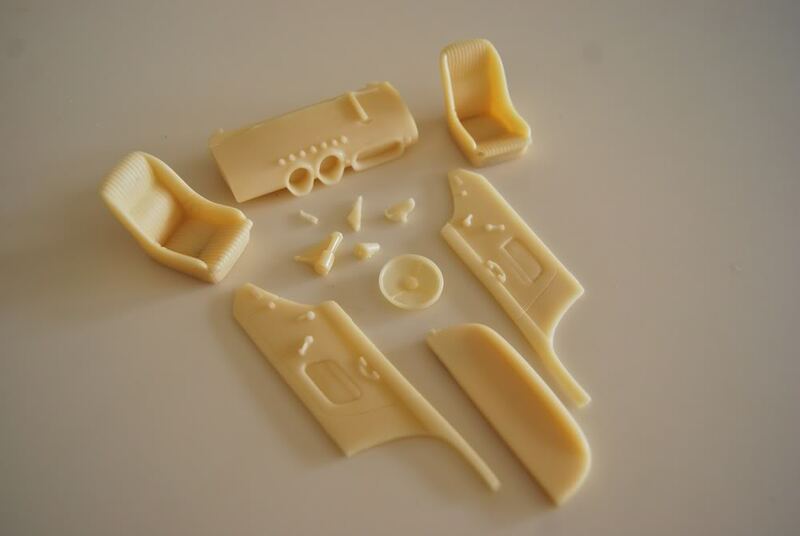 For those familiar with Scale Kraft products, the kit is typical of their later production, with some photoetch, and good quality resin, but still rather rough, with "weird" parts (like eyes from stuffed animals) and poor decals. 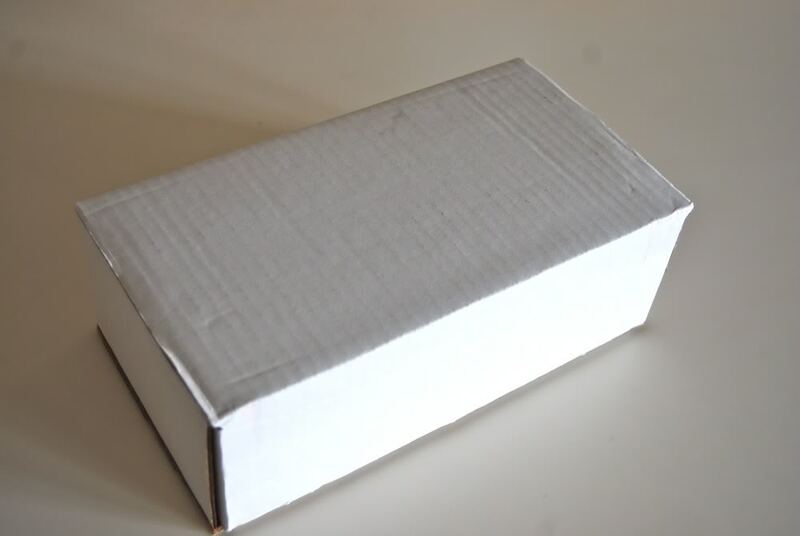 Packed in clean white cardboard box, with nothing on it. 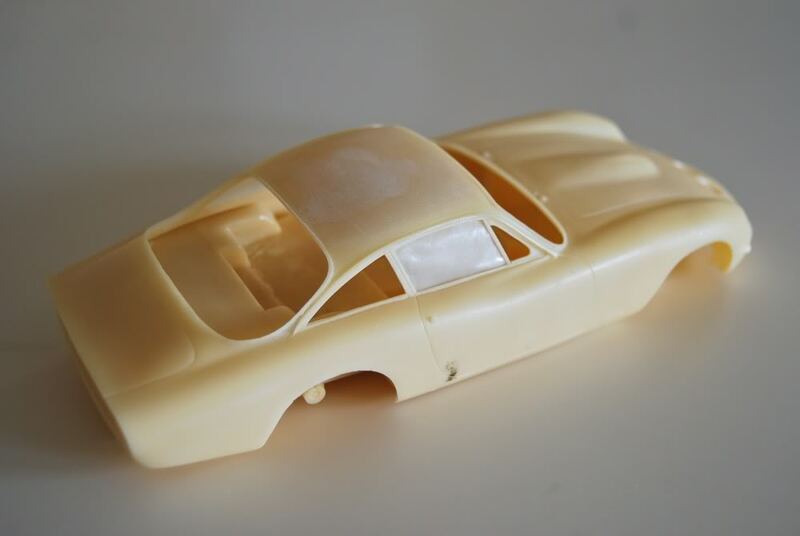 Body is based on Lusso kit (I was told that SK Lusso body itself is based on old Western Models white metal kit, but it has been substantially reworked, cause I've seen WM body, and it doesn't look like Lusso at all!) with what looks like Gunze 250 GTO nose drafted on it. It is very proportionate, and looks really good. I'm yet to measure it, but from the pictures I saw, it looks correct. 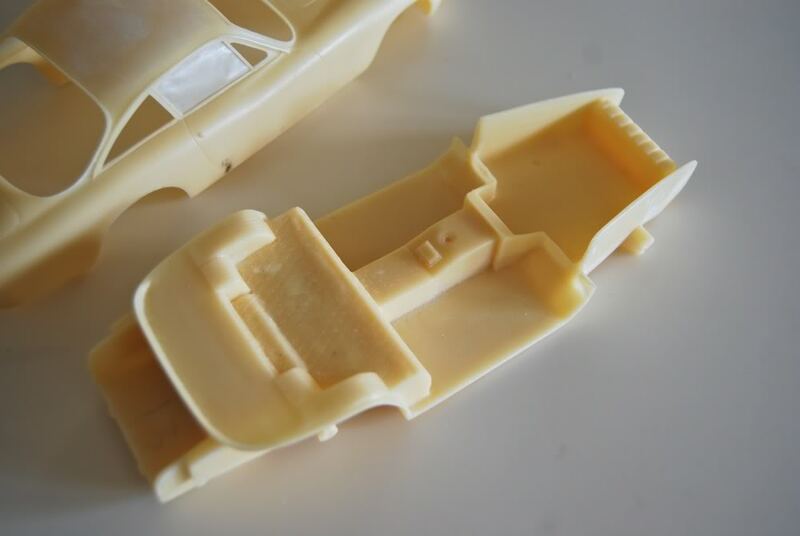 Interior is identical to Lusso kit, which is correct for the real car as well. 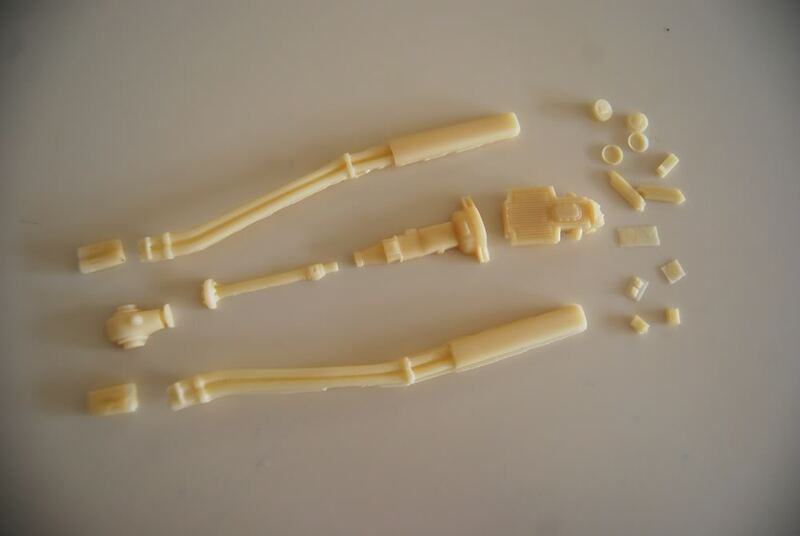 Castings are of good quality, but there are some bubbles that you'll need to fill up. The seats are one of the best I've seen, and very true to the original. Dashboard has good detail, as well as door panels. Steering wheel seem to be cast after some photoetched variety. There are also steering column, hand brake, shifter with the boot, and a rearview mirror. Exhaust pieces will need some cleanup, but otherwise are very nice. There is also great looking exhaust tips, separate parts for gearbox and engine undersides, driveshaft, and differential. Also few exterior parts, bumpers, lights. All nicely cast, but will need some flash cleanup. Finally, there are photoetched parts and decals. 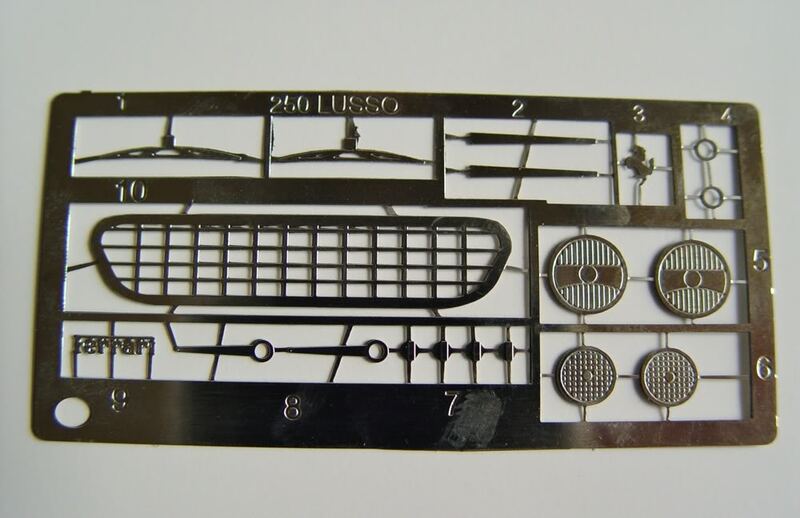 Main photoetched fret contains badges and emblems, wipers, grille, and headlight and fog light faces. 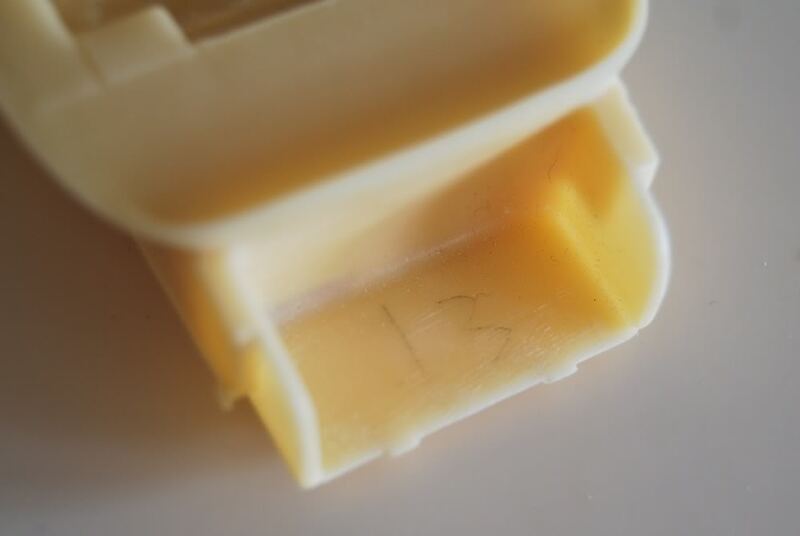 Its made from soft and thin metal, so it will pose no problems with part removal. 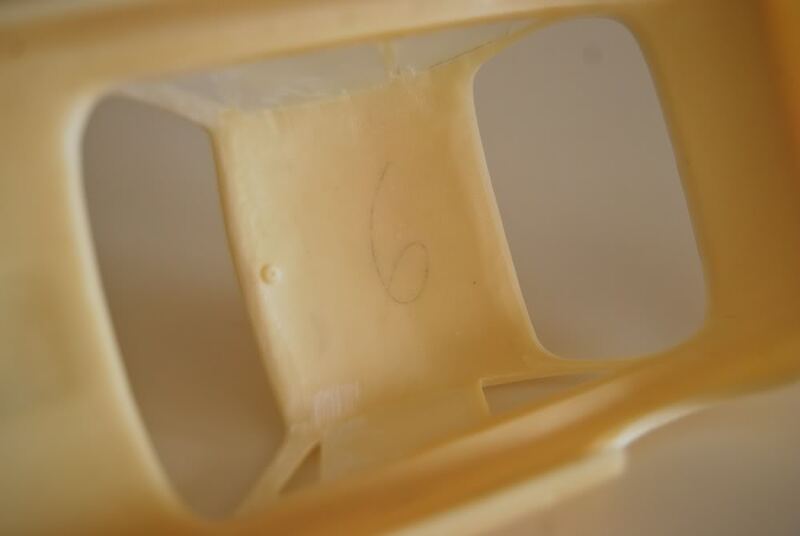 Second fret contains seat hardware - belts, buckles, and seat mounts. 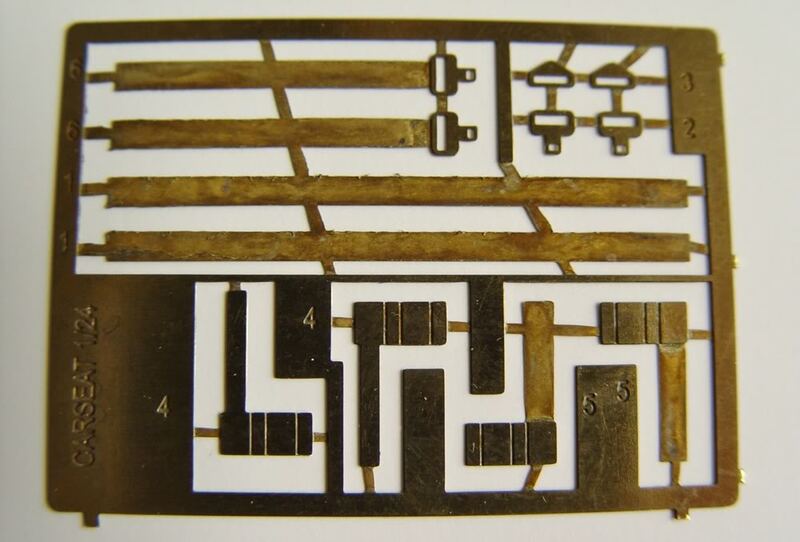 Made from brass. Decals are horrible. Silver surrounds for the gauges are printed (most likely on ALPS printer) on a separate sheet, and the rest is on regular decal paper. It will be hard to put the two together, but that is really irrelevant - they fall apart one you dip them into water! Funniest part is light covers - eyes used for stuffed animals! 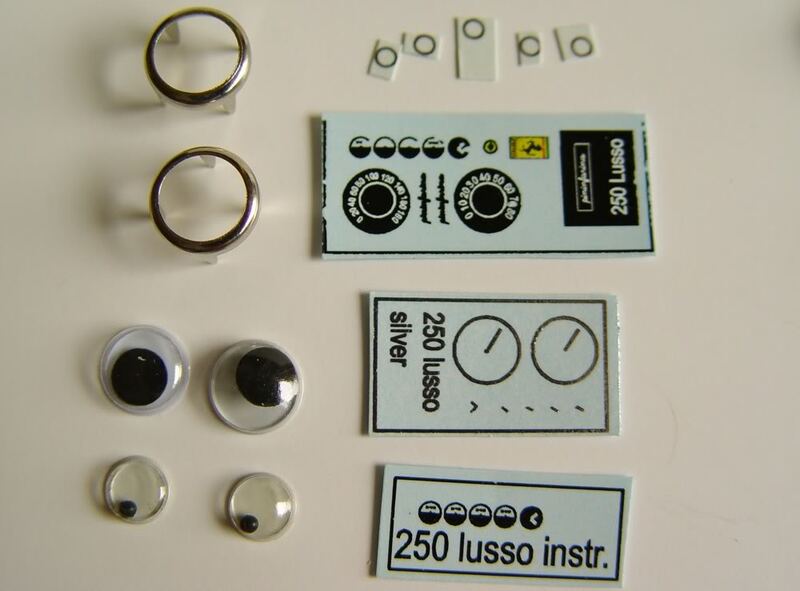 Instructions tell you to cut off the back, and remove the "eye" and use clear part as a lens. 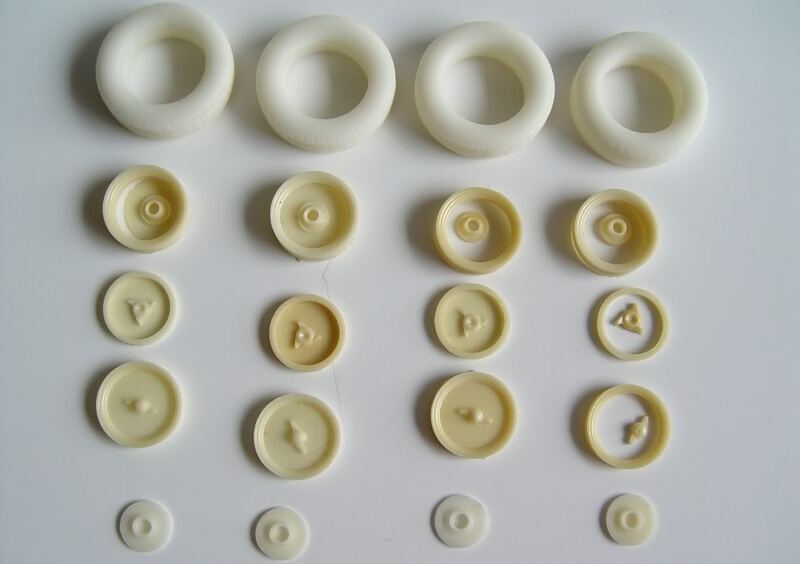 Wheel rims, knock-offs, spacers, hubs, and TIRES are molded in resin. The castings are not bad, but fit of the tires onto these rims is rather bad. Aftermarket wheels seems like a good investment in this case. Brake disks are also molded in resin and look good. 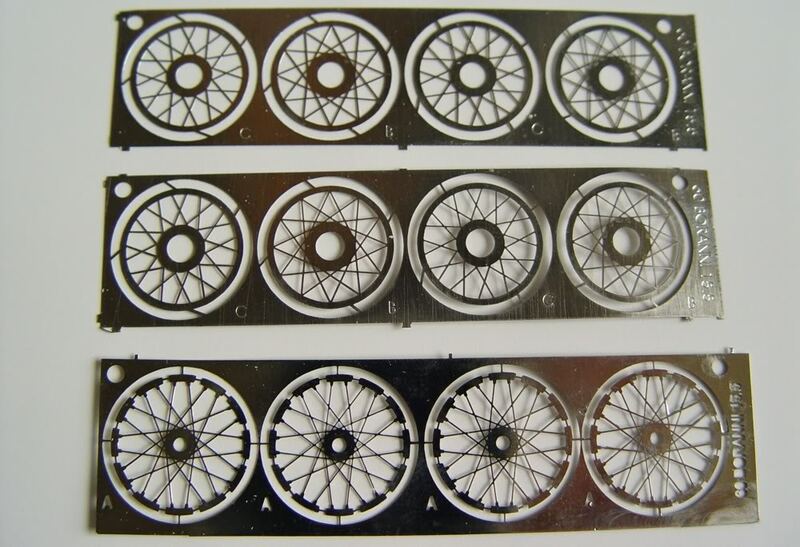 Wheel spokes are photoetched parts made from thin metal and look good. If only the rims were metal and tires were rubber! Another downside of the kit is the glass. Very generic shape, and no outline to cut it - will take lots of dry-fitting to get this one right! 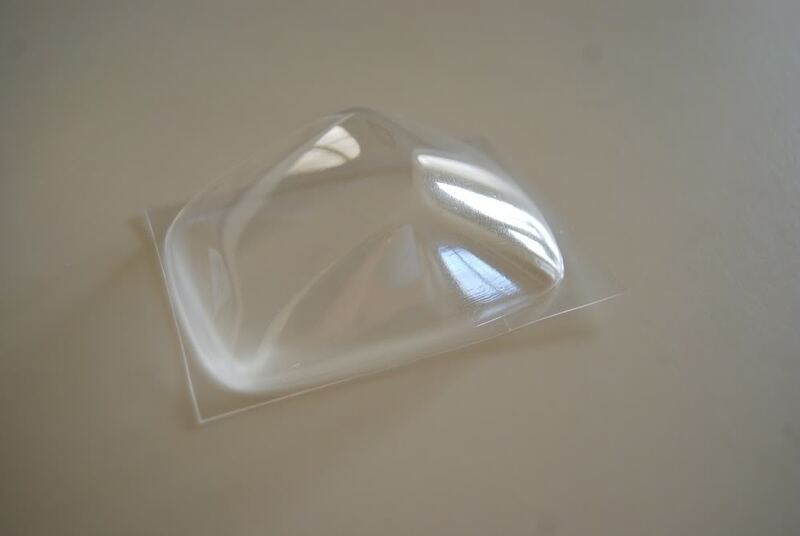 I made my own glass when I was building Lusso kit. 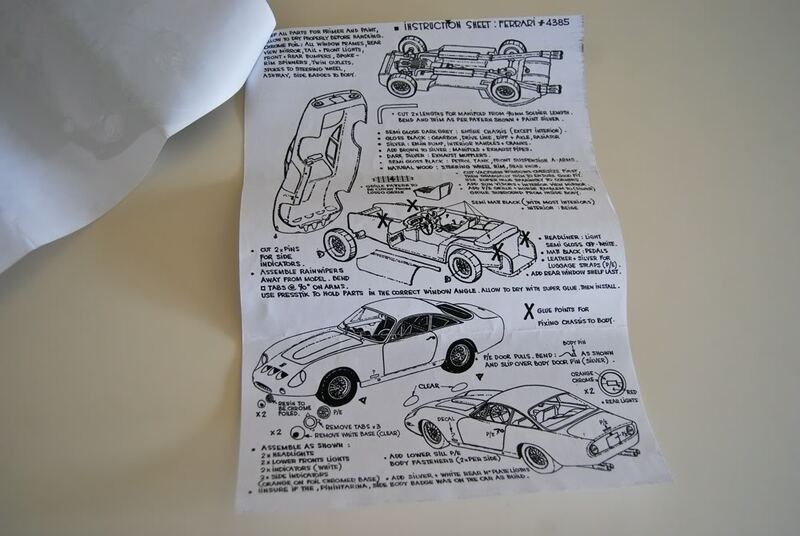 Finally, assembly instructions are hand-drawn, but very detailed and easy to follow. Information about the real car included in the instruction set, and is a very nice touch. Overall, this kit has a lot of potential, but also presents a big challenge! Maybe this is why after building that Lusso, I still not started on this one! Copyright 2010 Alex Kustov. No copying or reproduction in any shape or form without written permission of the author.